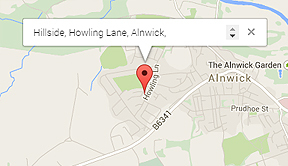 Looking for Driving Lessons in Alnwick? and join our long list of happy pupils! John Macs Driving School is based in the market town of Alnwick, Northumberland and provides driving lessons in Alnwick and surrounding areas. 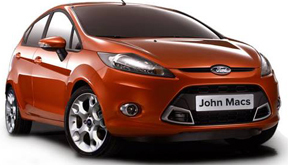 Taking driving lessons with John Macs Driving School will help you pass your driving test quickly and easily with a tailored course to suit your needs. John Macs Driving School prides itself in it’s first class service offering door to door pick up and a polite, patient and professional driving experience. Please Note: A very important message to anyone who is looking at this page. It has been brought to my attention that there are some unscrupulous people claiming to work for me and based in the London area. I would like to state that I am a sole driving instructor based in North East England and I do not employ any foreign or European instructors. Please do not give these people your money! Always check that the instructor you use is licensed and displays a green badge with his details and photograph on. Please share this message. Thanks. Approved Driver & Vehicle Standards Agency Instructor and member of the Driving Instructors Association, John Macs Driving School provide driving lessons in Alnwick aiming to provide a polite and professional service combined with a relaxing atmosphere. John Macs Driving School offers professional driving lessons in Alnwick and surrounding local towns and villages including Amble, Seahouses, Wooler and Belford. If you live outside the areas mentioned please call us to find out whether we cover your area. Before you can learn to drive you will need to obtain a provisional driving license. You can apply for this from the Driver and Vehicle Licensing Agency (DVLA). The application form (D1) can be obtained from your local post office. The earliest date your provisional licence can become valid is your 17th birthday, however you can apply for your provisional licence up to three months before your 17th birthday. Where is the nearest driving theory test centre? The nearest driving theory test centre is Unit 7, Telford Court, Loansdean, Morpeth, NE61 2DB. Pass Plus is a practical training course that requires at least 6 hours additional driving tuition and is for drivers looking to improve their skills and drive more safely. You can take Pass Plus within the first year of passing your practical driving test. The Pass Plus certificate could earn you substantial discount on your car insurance premium. First class teaching from an incredibly friendly and supportive man!! Cant recommend him enough. I passed both my theory and practical first time! Professional, positive and supportive. Passed first time after struggling for years. Thanks John. Fantastic driving instructor! Passed first time! Highly recommend! Passed first time extremely quick, good driving instructor. Passed with flying colours the guy is great!